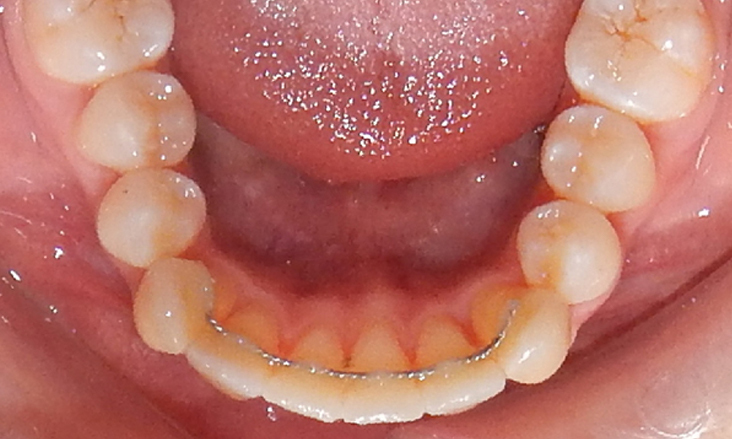 Lingual braces were placed to the anterior teeth only as this patient was only interested in straightening the anterior teeth. 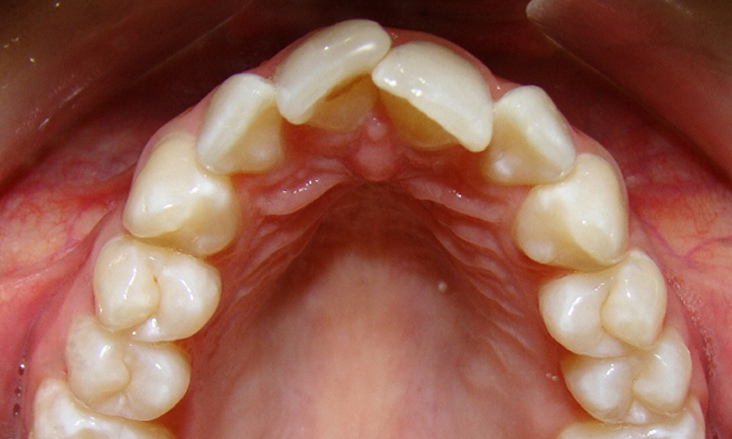 No change to the back teeth can occur hence the relatively forward position of the upper teeth compared to the lower teeth remains. 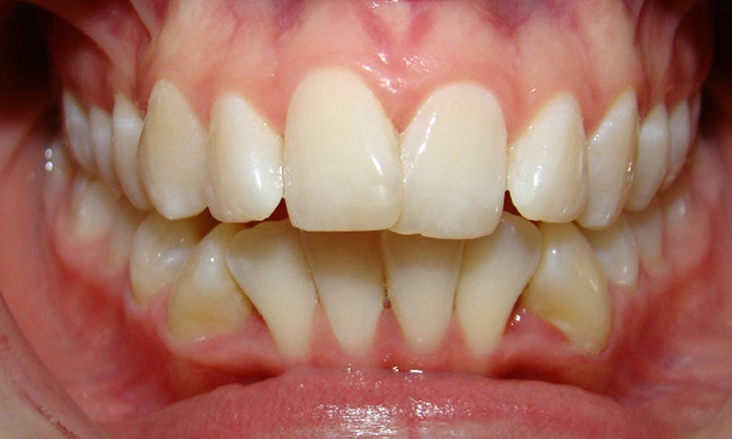 This is a very cosmetic method of treatment as nothing is evident on the front (labial) surface of the teeth. 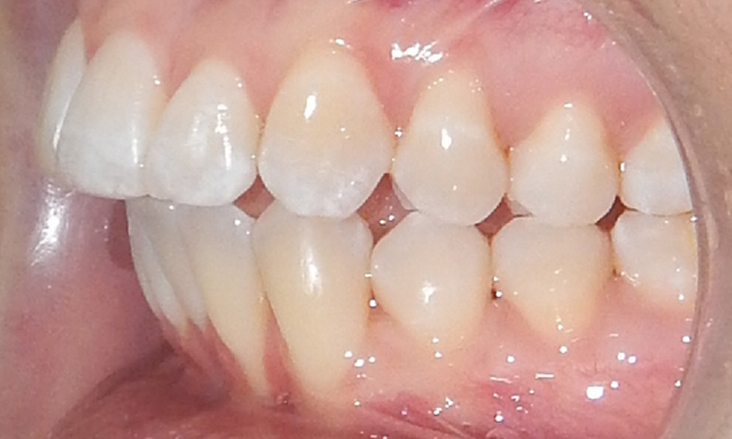 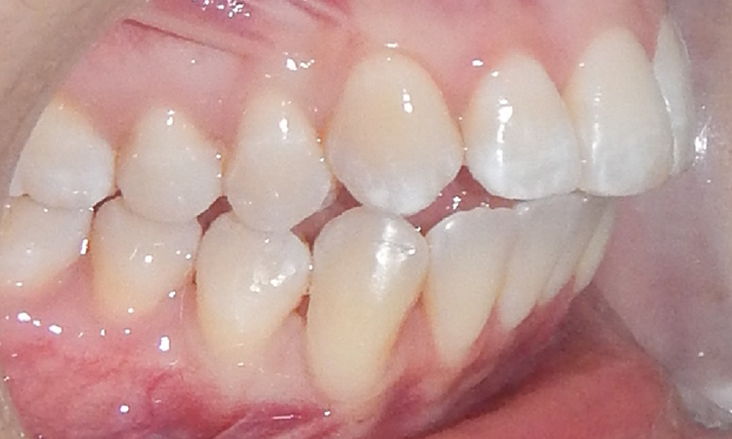 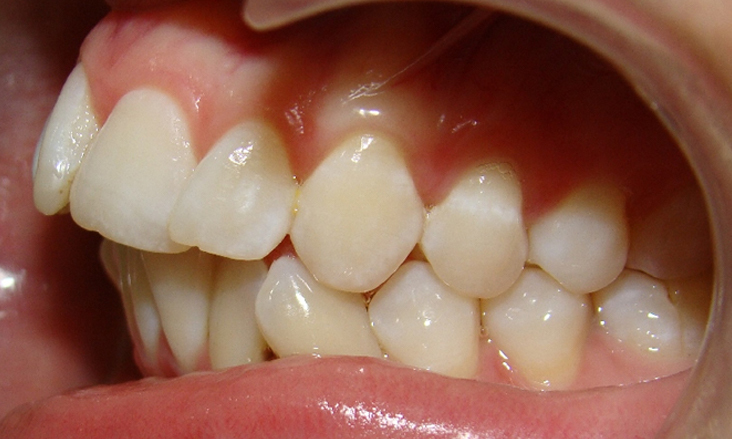 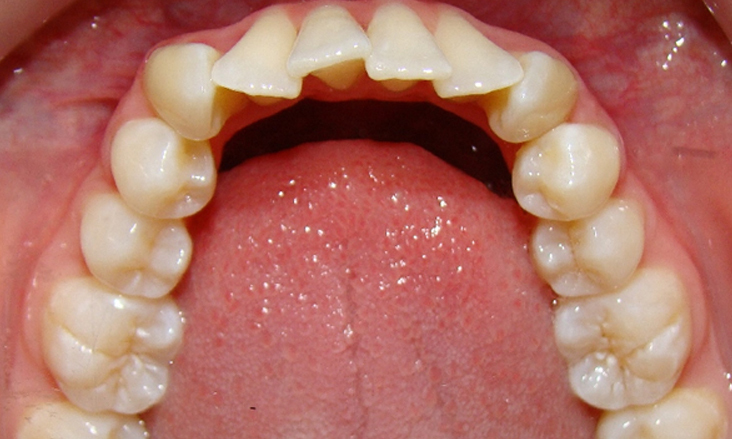 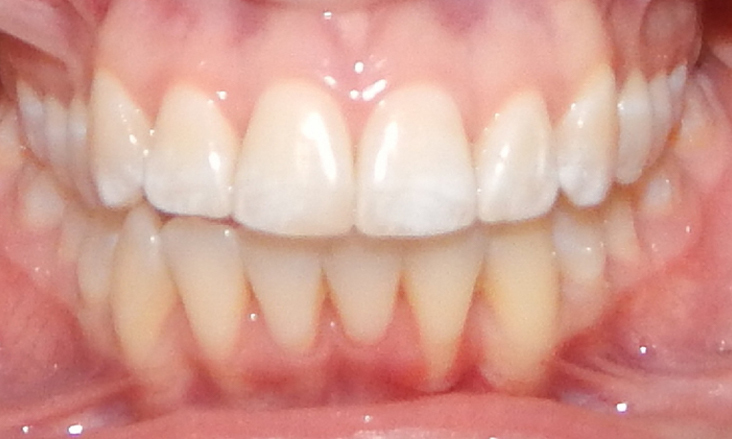 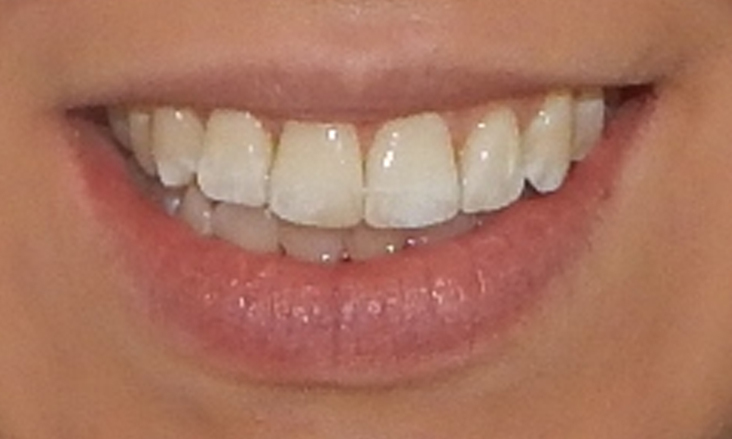 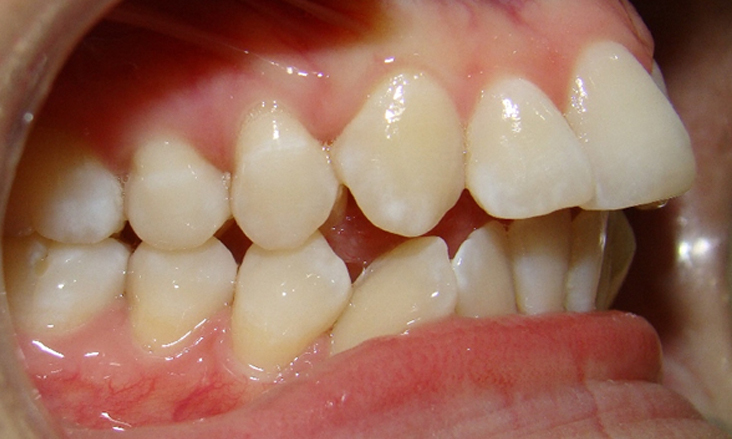 At completion of treatment fixed lingual retainers have been placed to ensure the teeth do not move again. 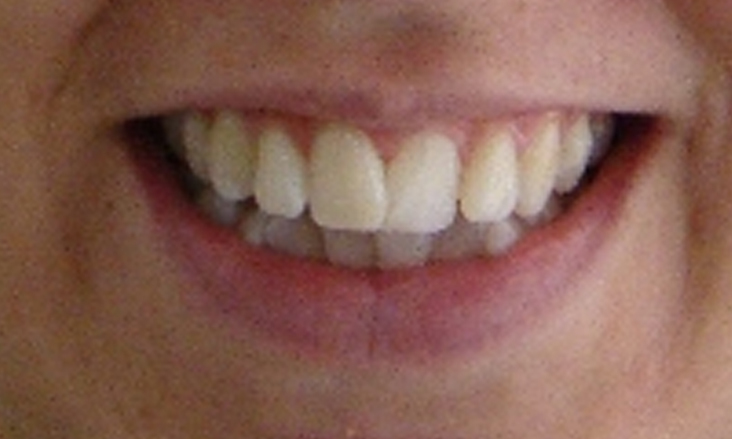 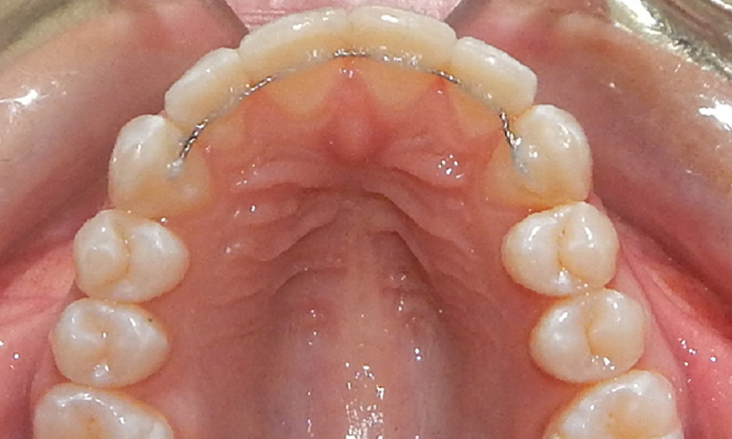 Trimming between the teeth (interproximal reduction) was undertaken to create space.